Eager children and their families can experience the joy and magic of the holiday season with a visit to the Simon® Santa Photo Experience at The Shops at Mission Viejo. 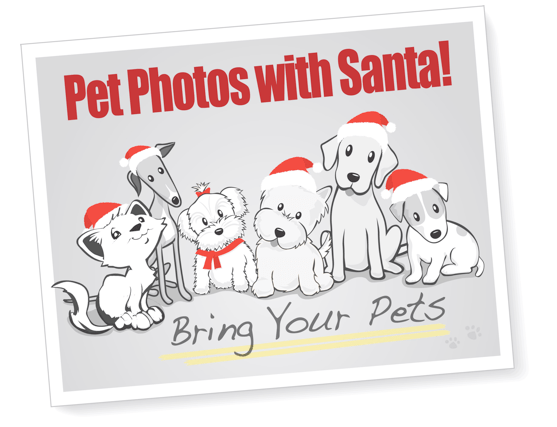 Children can visit and be photographed with Santa beginning November 8 through December 24, on the lower level near Nordstrom. Sponsors of the Simon’s Santa Photo Experience this year are Gymboree and Universal Home Entertainment. Save time, avoid the line with Santa by Appointment! Now you can reserve your magical moment with Santa online at http://simon.noerrsanta.com. For appointment hours, click here. The Shops at Mission Viejo also provides children with special needs and their families with an opportunity to enjoy a carefully managed Santa photo experience through the Caring Santap rogram. Caring Santa will occur on Sunday December 6, from 9:30 a.m. to 11 a.m., prior to the mall opening. Guests must register in advance by clicking here. 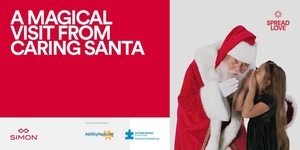 Caring Santa events have expanded from seven Simon malls in 2011 to over 100 Simon malls today, reflecting the positive impact of this unique program. risk to allergy sufferers. To make a reservation, click here. In addition to extra festive hours throughout the season, other activities include the Kidgits Holiday Extravaganza event on December 5, from 10 a.m. to noon on the lower level, near H&M and Old Navy. Kids can get festive with various crafts and activities, including writing a letter to Santa. Simon’s theme for Holiday 2015 is “Spread Love.” From the love of giving to those who matter, to children’s love of Santa, to celebrating love through holiday festivities with family and friends. 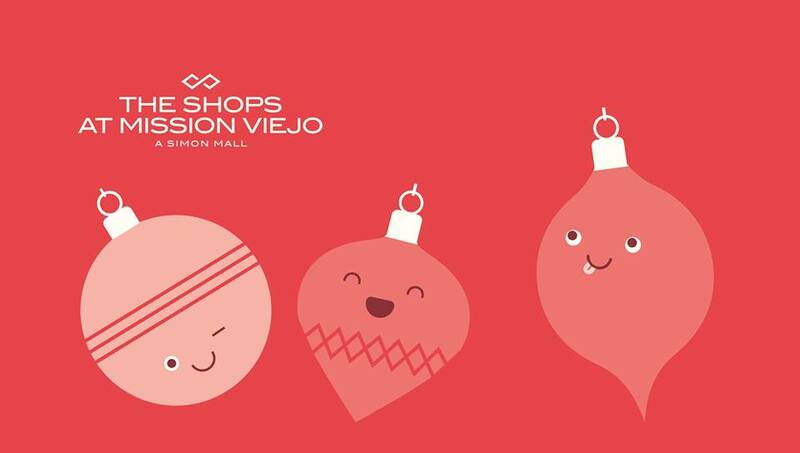 Join Simon to experience the season’s good cheer with the best of holiday shopping and entertainment..
Visit The Shops at Mission Viejo on Facebook, Twitter & Instagram. This is not a sponsored post. All opinions are 100% my own. Images and logos property of Simon & Noerr.